HELP! We need your prayerful support with this important project to further equip prayer warriors for the impending battles of 2019. Let me set the context and then tell you about the books I am trying to get finished so you will know better how to pray. We may expect in 2019 continued great moves of the Holy Spirit globally advancing the Kingdom of God. However, the harbingers of massive counter attacks from Satan are all about us. In America, Canada and the UK there are the continued provocations of the radicals on the left and the right. And Radical Islam continues its bellicose agenda to destroy our governmental and social institutions based on Judeo-Christian values, and to replace them with institutions and ideologies based on deceptions of Satan. The international front presents no less dire premonitions of disaster. Of urgent concern is the very real possibility of an escalation of the military conflict in the Middle East driven by the genocidal desire of some to annihilate Israel and the Jews. These indicators suggest that we are hurtling toward a major clash between the deceived forces of Satan and those who would hold firm to our biblical foundations. We all have the faith that in the end God will prevail. But preventing the forces of evil from unleashing their dreadful plans for death and subjugation upon the church, our Judeo-Christian cultures, and humanity in our present era is neither inevitable nor guaranteed. Victory depends upon God, but also upon us as His friends and coworkers within our own spheres and callings faithfully cooperating with Him. The role of the intercessors in God’s plans to prevail over this impending evil and to advance His Kingdom is strategic and decisive. It is this reality crashing down upon the body of Christ and the world that is both inspiring and relentlessly driving me to take part in the work of Jesus Christ to “mobilize, equip and to deploy” an army of intercessors. To prepare for these looming battles, I am working on three books in my series on the Prayer Strategy for the Victory of Jesus Christ. The first two dealt with demonic strongholds based on Islam. These next three deal with cooperating with Holy Spirit in defeating the demonic strongholds based on the anti-God ideologies of liberal progressivism and Marxism growing in America, Canada, and the United Kingdom. 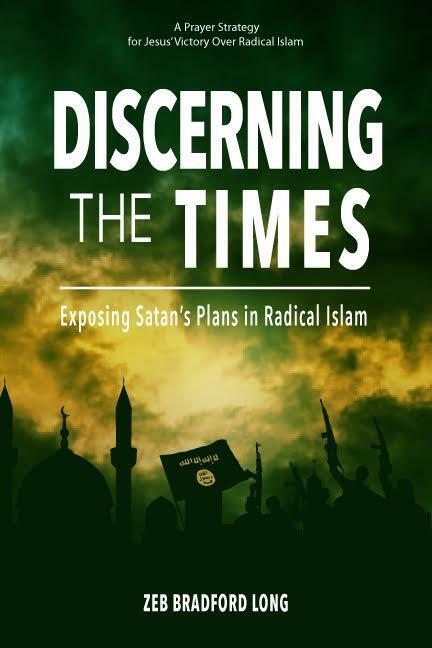 The first book has a working title of “Exposing Satan’s Plans to Destroy America, Canada, and the United Kingdom.” This book provides the biblical, theological, and historical basis for how God has given our three nations unique and holy destinies through forming our cultures and governing institutions on Judeo-Christian values which flow from biblical faith. Satan plans to use his deceived human agents to stoke the Marxist/Hegelian Dialectic in order to create the right conditions of anarchy and lawlessness to break down our society in order to impose his own anti-God values and Marxist tyranny. The second book has a long working title of “God’s Plans in the Election of Donald J. Trump in Reversing Satan’s plans to Destroy America.” This book demonstrates the role of intercession in the election of Trump and also addresses several critical issues of how the Lord is using Trump and his administration. One of these issues is to defeat Satan’s use of the Marxist/Hegelian dialectic—a plan designed to destroy America from within. Other issues are ending the liberal’s policy of appeasement while restoring deterrence to protect America from outside threats. The last book’s working title is “Confirming Kavanaugh—The Spiritual Battle: Timeless Lessons for Prayer Warriors.” This deals with the intensive prayer and spiritual warfare engagements experienced by PRMI intercessors during the political fight to confirm Brett Kavanaugh, an originalist judge to the US Supreme Court. This book is a case study in how intercessors are called to cooperate with the Holy Spirit in defeating Satan’s plans for evil and advancing God’s Kingdom purposes in the world. The purpose is to equip intercessors for the impending prayer battles in this war with Satan. I have a great urgency to get these three books out as soon as possible because if intercessors are not mobilized, equipped, and deployed into effective networks and cohorts, crucial battles may be lost. What I learned from the prayer battle for Brett Kavanaugh – one of the timeless lessons, is that while all forms of intercession are part of the movement of prayer needed in these battles, it is urgent that cohorts be equipped to engage in spiritual warfare at a strategic level in defeating Satan and advancing the Kingdom of God. 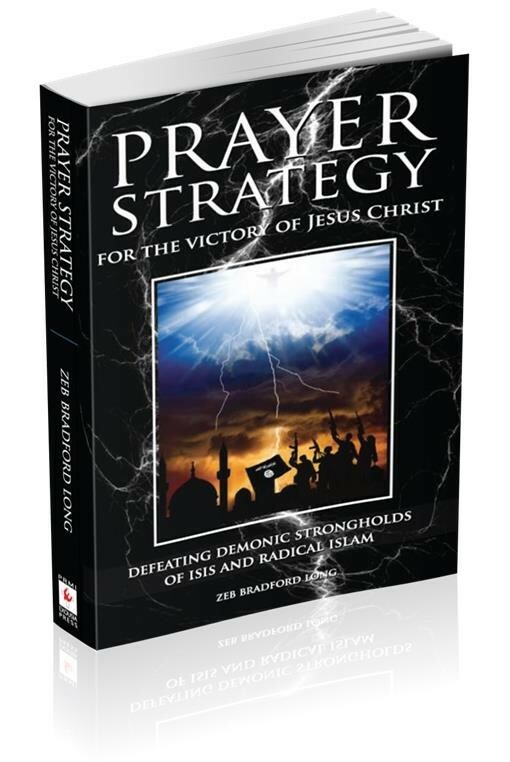 This takes place in what we call the First Battlespace in the book II, Prayer Strategy for the Victory of Jesus Christ (p.102). I do not want to be presumptuous about this, but I do not see this type of equipping formally and systematically taking place anywhere else but in PRMI. That does not mean that God is not using many other wonderful prayer ministries to equip and deploy intercessors for this war, but I am certain that the Holy Spirit has given us a critical role to play in this war. Satan is working hard to prevent us from completing this project. However, I and the team of people helping me write these books need very strong prayer cover to get them finished. It was one type of struggle to write about the demonic strongholds based on Islam, it is altogether another to write about demonic strongholds that are as close to home as our own culture and political parties. I just received a note from one of the people working on the book (there are many as I am very dyslexic!) who let me know of the major spiritual warfare taking place in their life. The same has happened to others. One person experiences severe pain each time they start to edit. And for me personally, often as I write I get hit with barrages of flaming dart attacks. I am often overwhelmed by waves of despair that the battle is already lost; all is hopeless, that the work of prayer is useless, if not an insane endeavor. Not to be too dramatic, but the words from Dante’s Divine Comedy written over the gates of Hades have often come and hit me in this struggle to prepare intercessors for the battle, “All hope abandon, ye who enter in!” I know that comes right from Hell! This is to be expected as we are in a war with the forces of Hell that are imposing their evil on earth. If anyone doubts the high stakes of the battles that we are in, just consider the mass death and slavery imposed on humanity the last time demonic strongholds based on the ungodly ideologies in vogue today gained power to implement their vision. Nazi Germany, the Soviet Union, Communist China, North Korea, Cuba, Venezuela. Everywhere these ideals have gained ascendancy, they have created hell on earth. So, I am asking for prayer cover and intercessions for all who are working on this book and are involved in PRMI’s prayer work. I think it best not to give names. Most of you know who some of us are, but please just pray for us as led by the Holy Spirit. Here are some suggestions. Pray that the book about confirming Judge Kavanaugh can go to press during the month of February. Pray for the strong protection of all those involved in the editing process and for their families. Pray that we may all be anointed by the Holy Spirit for this work of preparing books, teaching materials, and venues for equipping intercessors so they may be deployed to the warfronts the Lord is assigning them to. As we are dealing with powerful and insidious strongholds of deception, pray that we will not be deceived, and that we may keep a sure footing in our relationship with Jesus Christ and be rooted in the Bible as the Word of God. Also pray that the rest of the ministries of PRMI will not be targeted because of this work of equipping intercessors. Pray for the intercessors doing their work of engaging demonic strongholds at the call of Jesus Christ. One last request is to pray for the financial provision needed to provide the equipping and organization for this work of prayer. It takes money to equip and deploy any army, a prayer army is no exception. WE NEED FINANCIAL GIFTS TO PROVIDE FOR THIS PRAYER WORK! Thanks so much, and please send any discernment you may receive right away. God’s much needed strength and encouragement with the finishing your last three books that are extremely important. The spirituals battle is by no means over, but the will be won by God with whom we try to cooperate with! Therefore, don’t fear, keep going in the strength the Spirit is giving you without delay. You are covered by very many prayers, including myself as being part of the Dunamis Fellowship’s 40-day prayer battle now in its 3rd week. As I am trying to finish my second book, THE RIGHT DEAL: Making the Case for a more Respectful Society (following my first book, THE REAL DEAL: Making the Case for the One True God release last August). Like in the first boo so in my second book a make references to Dunamis Fellowship Int. Looking forward getting your books published. Through my involvement in the 40-day prayer ministry my thought are continually out how we can get Christians in Western Europe involved through participation of a charismatic group in the netherlands I talked about ar an earlier time. I will present some more info. in the near future. Brad – Go for it!!! (maybe not so much discernment, but rather strong encouragement). I, for one will get increased time in the Holy Place for you and your team. We will need to use the tool of fasting along with our praying. I agree that I have sometimes felt exactly like your Dante-esque experience. But we know that the End will not come until the Gospel of the Kingdom is preached throughout the whole earth and we are not there yet. Therefore we need to attend to the nation -states where the Judeo-Christian foundation and missional ethic is still operative. God only knows how much time we have; it is up to us to use it well, and your book trilogy will be an immense help. The Kavanaugh book is especially timely, because they are also going after many qualified nominees for the lower courts if they are practicing Catholics; it is not stopping with Kavanaugh! I understand and I am in agreement with everything you have said. I have printed out the bulleted list to use in my prayer time for you, PRMI, and those associated with you. Stay encouraged, be strengthened, you will finish the race you have started because faithful is He who called you, He will do it. You have many people standing with you and praying for you; a host of unseen heavenly angels; and those who are your personal ministering angels. Beyond prayer, as I have told you before, I am willing to help proof read, edit, or whatever I can do to help with the writing process. Hello Brad, It is correct and important to complete this set of 3 books. I also think it wise to keep the books of Prayer Strategy and Discerning The Times close to hand. I too am doing the 40 Days of prayer and I will try to extend my time to pray for this Urgent Call for Prayer. I found that I m being drawn to prayer for a number of areas including Romania, which I have been involved in for the past 4 years. I have seen changes there that need prayer to strengthen our brothers and sisters in Europe. We need urgent prayers for the next generation, some are moving in the right direction but some are being drawn away, especially those that go to other countries to earn money. They can turn from strong believers to apathy in their faith. I pray for them and with some of them. Anyone who has time please add Romania to your prayers. PS/ Please change to my new email address.